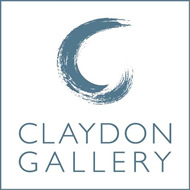 We respect the privacy of our customers and artists and set out below details of the information we may collect about you, how it is collected, held and used by Claydon Gallery Ltd., and how you can access, edit or delete your personal information held by us. This policy is intended to comply with the EU General Data Protection Regulations (GDPR). Information provided on paper is held securely by us until it is entered on the database held by Mailchimp and paper copies are then destroyed by shredding. You can change your preferences or unsubscribe to our Newsletters at any time using the links at the foot of the Newsletter. We can also access reports from Mailchimp with information about email opening and clicks to help us understand and monitor the effectiveness of our emails and Newsletters. The video material is only accessed by the Directors of the gallery but may be shared with law enforcement agencies if required by such agencies. www.arlo.com Video recordings will only be held for a longer period in connection with a dispute, incident or law enforcement. We keep the details you have supplied to us i.e name, address, email address, website url, bank account details securely. We also keep photographs and biographical details supplied by you to be shown on the gallery, on our website, in advertising and on social media. We treat your contact details as confidential. They will not be divulged to any third party and we will not send you any unsolicited mail. Any emails sent to you will only be in connection with the provision of information and services by the gallery or in relation to a specific request from you. If you think any information we are holding on you is incorrect, out of date or incomplete, please write to or email us as soon as possible and we will correct it.